Carpenters & Joiners in Ware, SG12 0PU. Covering all areas of Hertfordshire and London. Absolute Building & Carpentry are a professional and trusted company whose staff have over 10 years experience in their trade. We are based in Ware (Hertfordshire), serving all areas of Hertfordshire and London. With over 10 years experience in building and carpentry, we have all the skills required to complete any job and often exceed our customer's expectations. Our speciality and what makes us different is our ability to complete work very quickly and efficiently, keeping the entire area clean and tidy, and the guarantee that we will keep you informed at all points, explaining the plans in full detail. "Brad did a great job in our bedroom, including taking out a chimney breast and plastering. A pleasure to work with, polite friendly and efficient." 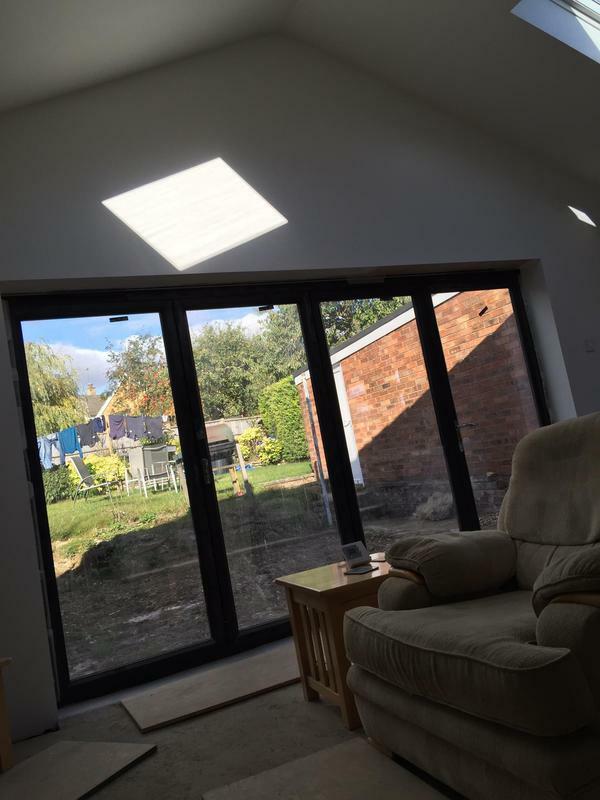 "Very pleased with our new extension , the bi fold doors and sky lights bring lots of light in and look good , we opted for a pitch roof instead of a flat and it sets the whole extension of nicely ,Brad and his team are a very professional company who do a top class job ,nice people to work with , very polite and friendly and most important trustworthy and honest , and very knowledgable"
"This was my first house purchase and a project I had invested a lot into. Really pleased that I came across Brad and the team. He understood exactly what I wanted from day one ensuring that everything went smoothly. So easy to get on with, nothing was a problem, he is very keen to ensure that everything is just how you want it, if your not happy he is not happy which is a great quality. I am sure if I need more work done I will be contacting him!!" "Brad and his team are professional, talented and courteous and I've already recommended them to many. In my past experience builders are either good at construction OR finishing, but never both. Finally someone who gets it. Not only is their work good, they really care about both getting it right and making you happy. And the way they work is a breath of fresh air. For example, at the end of their first day they asked for a mop so they could wash the kitchen floor so my baby daughter didn't have dust around her. I'm extremely fussy about finishing and have no complaints at all. 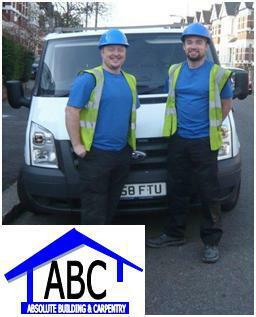 In fact, we have a lot more work to do on our house and I'd hope to use ABC every time."